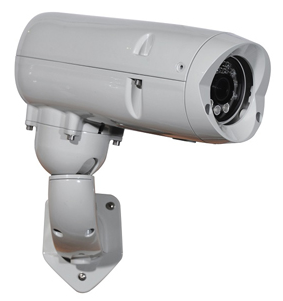 Redvision, the UK CCTV manufacturer, has added two pre-built, fixed-camera options to its new VEGA rugged housing range. The firm says that security installers can now buy complete, rugged, fixed-camera solutions from Redvision, with the same hazardous or corrosive, outdoor, surveillance characteristics as their X-Series and VOLANT pan and tilt cameras. The initial VEGA 2050 camera options include the VEGA 2052, with a built-in, 2MP camera module and the VEGA 2054, with a built-in, 4MP camera module. Both VEGA 2050 cameras are ruggedised, offering protection from dirt, moisture and dust ingress. They are also cable-managed, making them vandal-resistant, the makers say; and with a pendent or pedestal mount for ceilings, walls and soffits for installing.